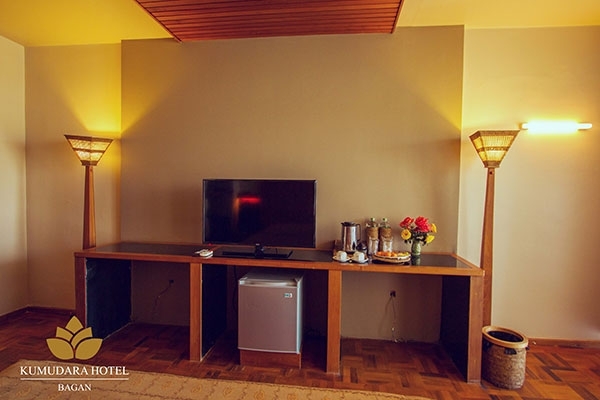 Our deluxe room is a luxurious hotel room with a large and comfortable bed with a huge sitting sofa. The extra this light and luxurious hotel room make it a comfortable setting for your luxury holiday to Bagan in Myanmar. 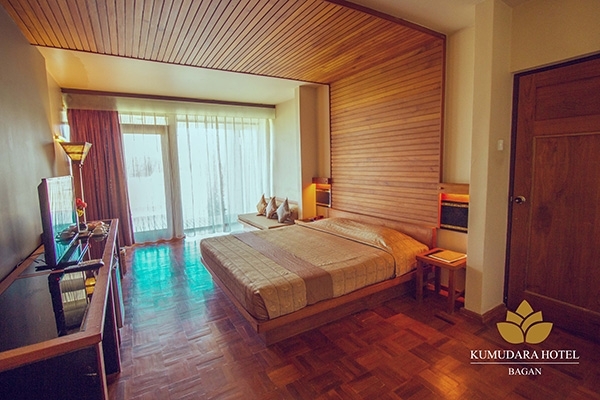 All deluxe rooms are beautifully located around the lake. Every time you open the curtains from your room, you can see the panorama view of ancient Bagan temples. You can also walk outside to the terrace to enjoy a priceless view of Bagan right next to our beautiful lake full of fishes.